Datalogic’s Memor 1 is a mobile computer which is made for any kind of data capturing, from business applications to the use in industrial environments. It comes with fast wireless charging and several accessory-options. Equipped with Android 8.0 the Memor 1 is ready for the future. The Memor 1 from Datalogic is a compact mobile computer which can be used as a handheld or with a pistol grip. It comes with Android 8.0 and GMS. With this mobile device you can read out 1D and 2D codes as well as postal codes and Digimarc. The 4.3-inch capacitive multi-touch display is equipped with Corning Gorilla Glass. Bluetooth, WiFi and NFC makes communication easy. It is also equipped with USB and SDXC card slot. There are several accessory options available, for example, three different docks and holsters – this makes the Memor 1 highly versatile. Its improved wireless charging technology reduces charging time as well as maintenance costs. 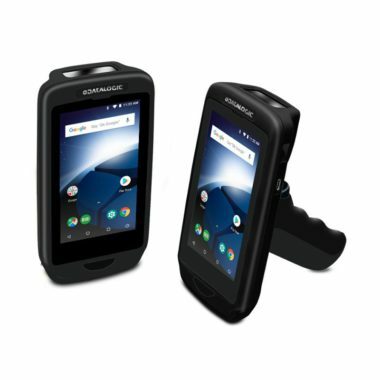 The device is compact but also very rugged – it is therefore suitable for all sorts of environments and applications, such as order picking and track & trace or inventory and store management in retail environments.